Central public sector undertakings Oil & Natural Gas Corporation, Hindustan Petroleum Corporation Limited, Bharat Petroleum Corporation Limited, Indian Oil Corporation Limited and Oil India Limited have been rapped by the Comptroller and Auditor General of India for contributing to the Rs 3,000 crore Statue of Unity being built off Gujarat coast in memory of Sardar Vallabhbhai Patel. The apex auditor questioned the decision of PSUs to allocate part of their corporate social responsibility (CSR) funds for construction of the world’s tallest statue. Ad campaign for the statue “Statue of Unity – Loha Campaign – Kahani Har Gaon Ki” had positioned it as being built out of people’s contribution. The ad shows used farm equipment being collected from each village to contribute to building the statue of the Iron Man of India. “…the Loha Campaign facilitated the donation of used farm tools (one from each village across the country) from farmers as a form of tribute to the tallest leader of modern India who himself was born in a farmer’s family, and led several farmer revolutions during India’s struggle for independence. So far, around 1,69, 000 loha kits have been collected,” says the website of the Statue of Unity. 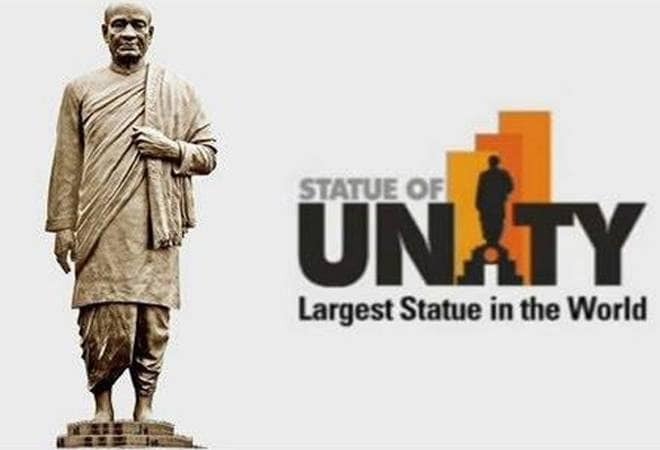 In a report tabled in the Parliament on August 7, 2018, the government auditor said that contribution to ‘Sardar Vallabhbhai Patel Rashtriya Ekta Trust (SVPRET)’ for Gujarat government’s “Statue of Unity” project cannot pass off as a contribution towards a project aimed at protecting national heritage, art and culture (an approved CSR activity as per schedule VII of the Companies Act 2013) as it was not a heritage asset. CPSEs Oil & Natural Gas Corporation, Hindustan Petroleum Corporation Limited, Bharat Petroleum Corporation Limited, Indian Oil Corporation Limited and Oil India Limited had together contributed Rs 146.83 crore (ONGC Rs 50 crore, IOCL Rs 21.83 crore, BPCL, HPCL, OIL Rs 25 crore each) in 2016-17. ONGC justified the contribution by stating that the project included activities such as promotion of education and development of banks of River Narmada. The Management of BPCL, HPCL and IOCL stated in their reply to CAG that as per Circular No. 21/2014 issued by MCA they interpreted the activity liberally to capture the essence of the subjects enumerated in the Schedule VII of Companies Act 2013. CAG observed the entire amount of Rs 50 crore has been given to SVPRET as contribution towards corpus of the Trust. “The expenditure would be incurred by the Trust. SVPRET sought the help of CPSEs after there was a shortfall of Rs 780 crore. The work, awarded to Larsen & Toubro Ltd in October 2014 has a completion deadline of October 2018. The fact remains that the contribution towards construction of Statue does not qualify as CSR activity as per schedule VII of the Companies Act, 2013”, CAG maintained. The Rs 2989 crore project comprises the 182 meter high bronze plated statue of Sardar Patel, a memorial and visitor’s centre, gardens and a convention centre named ‘Shresth Bharat Bhawan’. The initial cost of the project was estimated at Rs 2,063 crore. However, finally Larsen & Toubro’s lowest bid accepted in October 2014 was worth Rs 2,989 crore for design, construction and maintenance of the project. Larsen & Toubro had sub-contracted “bronze cladding” of the statue to TQ Art Foundry of China. The Gujarat government had explained that it had no control over where L&T would get the statue fabricated. Out of 77 CPSEs audited by CAG, the amount spent by 66 profit making CPSEs on CSR activities for the year 2016-17 was Rs 2,761.50 crore. Among them, 41 CPSEs spent more than their stipulated 2 per cent of the average annual profit requirement. The states which benefited most from region specific CSR activities by CPSEs are Andhra Pradesh (Rs 321.12 crore), Odisha (Rs 268.73 crore), UP (Rs 224.13 crore), Gujarat (Rs 197.17 crore) and Chattisgharh (Rs 191.8 crore).